Polaroid Zip paper is used together with a Polaroid Zip printer to print instant photos from smartphones. The Polaroid Zink printer is designed to make use of Zink Zero ink paper. It works with both IOS and Android smartphones using NFC technology or Bluetooth to send the printing commands. The dimensions of a full-color print are 2 x 3 inches. The paper is specially created using colored crystals which are activated once the heat from the printer is applied on them, allowing photos to be formed. One significant feature that is a positive compared to instant film is its ability to withstand exposure to light. So, there is no need to worry about storing your printed photographs in darkness. 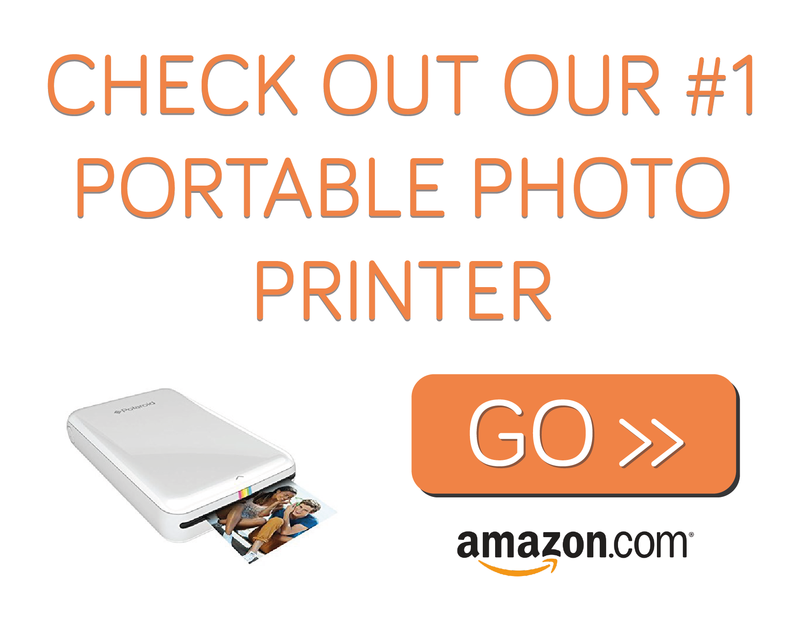 If you are looking at purchasing this printer check our Polaroid Zip Review before you buy. For a new user looking at the printer, this process might seem complex. However, the whole process becomes simple once you know the correct way to load the paper. Which is actually very easy. The process involves taking the zip paper from the wrapper, then opening the top part of the printer. Once opened, put the paper into the printer ensuring the blue side is down, then close the printer. After the printer is ready, you can then link the smartphone with the printer using the provided Polaroid Zip App. When you first purchase the Polaroid Zip you receive, the printer itself, Polaroid Zink Paper ten pk, a quickstart guide and a USB charging cable. 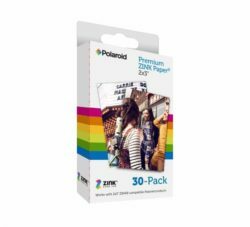 When you run out of paper, the Polaroid Zip paper can be purchased in different packs, ranging from packs between 20-500 sheets. The best prices can be found here on Amazon. The Polaroid Zip printer is easy to use and can turn your captured moments and memories into printed photos instantly. However, while instant photos are fun, it is possible to take a print of a photo you wish you didn’t and this results in the wastage of an expensive film or sheet of paper. It is therefore recommended that you review the photos before printing. Another tip to remember when using your Polaroid Zip, is the low battery life of the printer can be a pain, which is around 25 prints per charge. This can be changed by getting an extra portable battery pack with a USB charger. 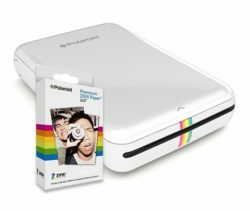 We feel the Polaroid zip is the best option when looking for an instant photo printer solution because it is efficient, portable and comes at an affordable price. We hope this guides helps you when choosing your Polaroid Zip Paper and for other reviews and guides for the Polaroid Zip and other portable photo printers click here.